The sectarian war in Pakistan between militant Sunni and unarmed Shia Muslims is turning uglier by the day. A bomb blast targeting Shia pilgrims on September 18 in southwestern Balochistan province killed three people and also injured security guards who were officially assigned to protect the pilgrims from a terrorist attack. Sectarian offensives are expected every day but thwarted very infrequently. The Lashkar-e-Jhangvi (LeJ), an underground Sunni extremist group that allegedly receives support from units of Pakistani intelligence agencies, has accepted responsibility for most of such attacks in the recent past. The LeJ has extraordinarily increased its violent operations during this year. It has emerged as a dangerous force after succeeding in recruiting a new cadre of homegrown extremists. The freshly inducted fighters enjoy unmatched knowledge of local geography and safe hideouts. They are sophisticated shooters who are deeply motivated to live and die for what they deem as a “religious cause.” Theirs is a cause designed to cleanse Pakistan of Shias. The LeJ asks Shias to either quit Pakistan or convert into Sunni Islam. Both of the demands seem unacceptable considering the fact that Pakistan has the world’s second highest Shia population. Many Shias serve as top-ranking professionals and enormously contribute to Pakistan’s politics and economy. The LeJ is rising as a confident, self-reliant, invincible and ambitious power that will lead in the near future Balochistan’s march toward Islamization and expulsion or persecution of religious and sectarian minorities. There are scores of reasons why we should fear the rapid rise of the LeJ and Pakistani government’s inaction against it. Pakistan’s handling of the LeJ is very similar to its disastrous experience of dealing with the Pakistani Taliban during the initial days. The country’s security establishment created and patronized radical Islamic groups but kept underestimating them until they transformed into such monsters that become impossible to micromanage or dismantle. On August 30, the LeJ target killed Zulfiqar Hussain Naqvi, a judge in Quetta, the capital of Balochistan province, along with his driver and security guard. Besides sectarian reasons, the larger motivation behind Mr. Naqvi’s killing was to intimidate and influence government institutions. Extremist groups carry out such attacks to dissuade government personnel from participating in counter-terrorism operations. A LeJ spokesman says his organization would even target the Chief Justice of Pakistan if he takes stern action against some of the organization’s detained operatives. Only a week after murdering Judge Naqvi, the LeJ killed a top police officer in Quetta on September 7, 2012. The slain officer, Jamil Ahmed Kakar, had newly been promoted as the superintendent of police (Investigation branch). Colleagues in the police department and foes in the LeJ unanimously agree that Mr. Kakar was instrumental in painstakingly investigating the Lashkar’s activities and taking action against key leaders of the terrorist outfit. “Jamil Kakar was involved in the martyrdom of our colleagues,” confirmed the LeJ spokesman. LeJ’s dramatic rise is perturbing for the following reasons. All top LeJ commanders in Balochistan come from lower-middle class Baloch families. The Balochs have historically remained a secular people with rare connections with forces that fought in the name of religion. Hundreds of Muslim religious schools established across Balochistan with the covert funding of Saudi Arabia and Pakistani government to counter the ongoing Baloch separatist movement richly provide manpower to Muslim extremist groups. Left-wing Baloch nationalists admit that self- Jihadist groups are actively engaged in employing young Balochs from religious schools for their unholy battles. The regional nationalists describe this phenomenon as a “deliberate policy” of the Pakistani intelligence agencies to undermine their movement. 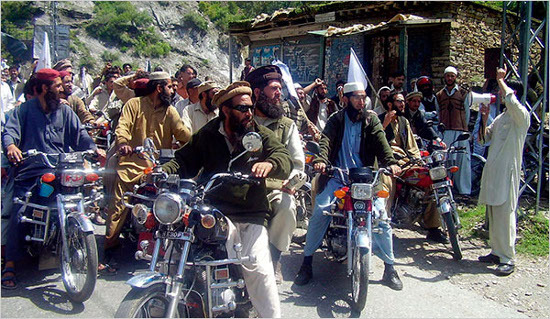 Radical Islam, they say, is used as an antidote to address mounting anti-Pakistan sentiments in Balochistan. At present, there are no overt tensions between Baloch nationalists and neo-Jihadists in the Baloch-populated districts. The nationalists say they are already engaged in a full-fledged battle against the Pakistani government and cannot afford to open another front against extremist Islamic groups. But the current non-interference policy in each other’s operations may not last long. Tensions have been brewing, although slowly. According to LeJ accounts, all of the organization’s key leaders come from Baloch families. The growth of Sunni extremism has come with new dimensions and fresh techniques of terrorism. For example, direct suicide blasts on Shia processions reduced in 2012 but the year witnessed an upsurge in mass killings of Shia pilgrims by intercepting passenger buses in various parts of Balochistan. The LeJ is actively involved in attacks on NATO supplies, too. In 2010, as many as 34 drivers were killed in Balochistan while attempting to transport goods to foreign forces stationed in Afghanistan. 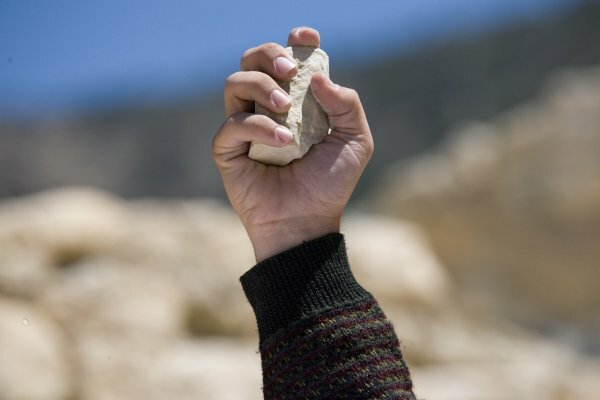 The LeJ is steadily growing so big in Balochistan that, at one point, it will start considering its anti-Shia operations as an inadequate match with its huge infrastructure and extended network of operatives and sanctuaries. The organization is already closely connected with Taliban in Afghanistan and has renewed connections with Jundullah, the anti-Iran Sunni militant group. In common, all these groups share abhorrence for the Shias. The sectarian killers are, in fact, Pakistan’s other Taliban. Most of their top leaders do not face official action. They roam freely and make hate speeches across the country and incite violence against the Shias. After the persecution of its chief, Abdolmalek Rigi, in the summer of 2010 by the Iranian authorities, Jundullah is too weak to continue with the robust suicide blasts it once used to conduct in Iranian cities under the leadership of Rigi. So, the Jundullah now continues (what Cricket fans call) ‘net practice’ with LeJ inside Pakistan until it fully regains the lost strength. While the forces of Islamization consolidate their grip in Balochistan, there seems little interest on the part of the government or the regional opposition parties to cooperate with each other to collectively fight religious extremism. Promoting radicals may temporarily assist Pakistani government in fighting the nationalist-separatist insurgency but, in the long run, it is going to multiply the causes of unrest in Balochistan, making conflict resolution further impossible. It’s been a troubled – some might say, tragic – 10 years for the detention camps at the Guantánamo Naval Base in Cuba. And as they slouch into their 11th year on January 11, there’s no end in sight. “We say to ourselves, in sort of gallows humor: Guantánamo will close when the last detainee there dies of natural causes,” Jeremy Varon, an organizer with Witness Against Torture, told the Huffington Post on Wednesday. Franz Kafka himself would have been hard-pressed to concoct a more bewildering and brutal contradictory reality. Allegations over the years have included sexual humiliation, waterboarding, and the use of dogs to scare detainees. Released detainees reported being locked in in sensory deprivation cells, beaten repeatedly, and forced to race while wearing leg shackles. If they fell, they were punished. If it sounds like Abu Ghraib, it should. The U.S. Senate Armed Services Committee found that intelligence teams transported the “aggressive” interrogation techniques perfected at Guantánamo to Afghanistan and Iraq. The link between Cuba and the war zones, the New York Times reported, was Maj. Gen. Geoffrey D. Miller, then the head of detention operations at Guantánamo. At his insistence, the Times wrote, the Defense Department sent training teams on 90-day tours in Iraq, showing the soldiers there the techniques utilized on the island. The timing, Amnesty International points out, happened to coincide with when the worst abuses occurred at Abu Ghraib. Thanks to reports like those, the detention camps have become an international symbol of what democracy and justice are not. They’ve been plagued by suicide attempts by desperate detainees and condemned by the United Nations, human rights groups, even former U.S. Secretary of State Colin Powell, who called for the immediate closing of the camps in 2006. “The value of holding prisoners there was unclear, but the price we were paying around the world for doing so was obvious,” Powell said. The camps were created in 2002 as a deliberately “extraterritorial” place to extract information from captives in the “War on Terror.” By putting them at Guantanamo, the United States, meant to be beyond the jurisdiction of both the Geneva Conventions and U.S. courts. That didn’t put them outside the range of public opinion. The camps sparked outrage on day one. Pictures flew around the world of shackled and handcuffed detainees on their knees on the ground with black hoods over their heads and mittens on their hands. The indignation grew as the first 20 captives went into wire cages at Camp X-Ray, described by critics as “kennels.” Soon, though, the detainees were transferred to permanent cells, and Camp X-Ray was closed. But the human rights complaints continued, even from some of America’s closest allies. In all 779 detainees have been held in the camps. Eight have died there, including six suicides. One man died of colon cancer, another after an apparent heart attack. And, in the 10 years since it opened, only six detainees have been convicted of war crimes. The last 171 still there are caught at the conflicting conjunction where bureaucracy, politics, and military regulations collide – offering little chance, at least for the foreseeable future, of gaining their release. Forty-six are classified as “indefinite detainees,” held without charges, but considered too dangerous to be released; 89 are eligible for release or transfer but in perpetual custody because there is no place to send them. Five more have been convicted of war crimes; and six face trial – perhaps this year – for the 9/11 attacks and the October 2000 U.S.S. Cole bombing. But even the budget conscious Congress resists closing the base. In fact, it has used its spending oversight powers to thwart the president’s efforts to do just that. It has used that authority to prevent the trial of detainees on U.S. soil and to block the purchase of a dedicated prison facility in Illinois to house transferred detainees. And no one wants to risk having a released captive later become involved in an act of terrorism or insurgency, which happened with at least one-fourth of the 500 detainees set free under President George W. Bush. 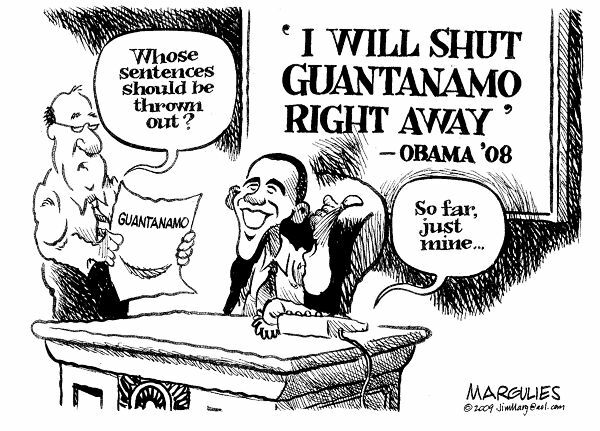 So, the captives remain in Guantanamo. Until when no one knows. Having the right, though, doesn’t make it right, said Geneve Mantri, government relations director for national security, Amnesty International. “This has always been sold as a question of the worst of the worst and the reality is that a large number of the people that have been picked up, I hate to say it are in the insignificant and rather pathetically sad story category,” he said. Sajjad says it is a day he will never forget. But, he says, that day he thought the worst was over. “I was thinking, OK, they hit her, now it’s finished. They told me this process was finished. She’s done. She’s free to go. “But then a judges’ panel in Tabriz suspected Ashtiani of being involved in her husband’s murder and re-opened her case. She was cleared of the murder charges, but the panel re-examined Ashtiani’s adultery sentence, and based on unspecified “judges’ knowledge,” decided she should be put to death for the alleged affair. “At that time it should have been finished. They should have punished her only once,” says her son. “Her documents say she is innocent. She paid for the crime five years ago.” Human rights activist Mina Ahadi, herself forced to flee a death sentence in Iran almost 30 years ago, has also taken up Ashtiani’s cause, working with Sajjad and his sister Farideh to get their message out. She says pressure from outside Iran can make a difference. “Legally, it’s all over, and we have no chance. It’s a done deal. Sakine can be stoned at any minute. But we have experienced again and again that when we organize events world-wide, when we protest world-wide, and in particular when we contact European governments and these governments put pressure on the Islamic regime in Iran, sometimes we have a chance.” So far, there has been no response from Iranian officials about the Ashtiani case. “All I ask for is a letter. I want a letter for my dear mother. Please write this letter of pardon because she is innocent, 100 percent innocent. If you do not have respect for what I am saying, just take look at her file. You will see she is innocent.